Plaque dimensions: approx. 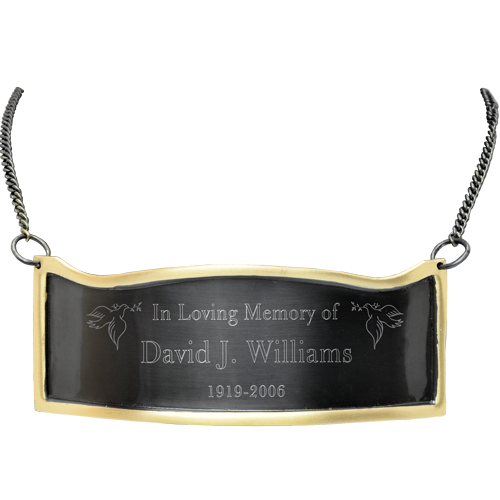 3.5" W x 1.25" H.
This sleek, hanging, brass, memorial plaque with silver finish is contoured to fit round urns or keepsakes that can not be engraved. 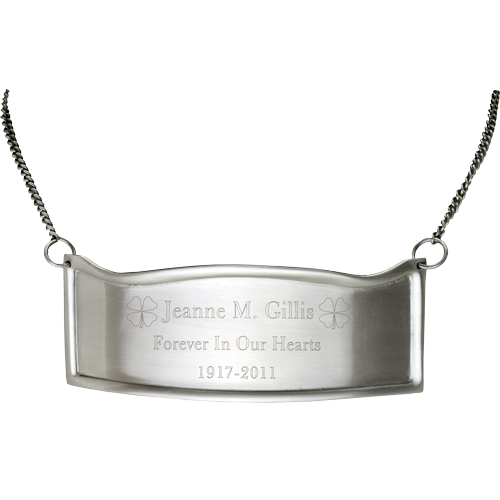 Plaque includes text engraving- clip art is at an additional price. 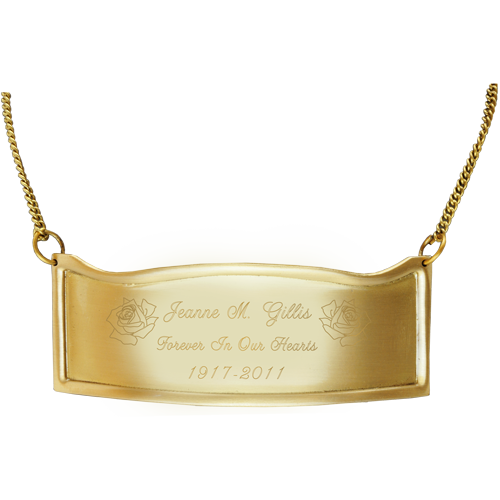 Each plaque comes with chain. Chain length approximately 12 inches. Chain may be also cut with wire cutters for more customized fit.